Simply put, all safes are not created equally. There are many different levels of security that are advisable based on your location and the exact type of content you are trying to protect. From preventing forced entry by burglars to safeguarding your valuable paper documents, our locksmiths provide numerous types of safes that are able to meet your specific requirements. 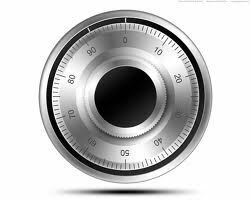 Fire safes: We can help you select the safe of your dreams, we have both standard fire safes to protect paper documents and media safes designed to protect computer storage devices and other magnetic media. Burglary safes: Designed to prevent forcible entry into a locked container, our burglary safes are available in many different levels of security to meet your particular needs. Combo fire/burglary safes: We offer combination style safes that combine the security features of a burglar safe with the necessary protection for your valuables in case of a fire.